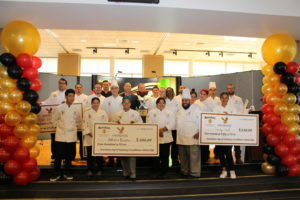 Every year, Marukan Vinegar (U.S.A.) Inc. sponsors an annual culinary competition featuring students and Alumni from the Cerritos College of Culinary Arts. However, this year was different as young, talented High School Students were welcome to compete as well. 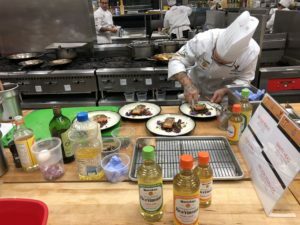 All competitors were given 60 minutes, and challenged to create “marulicious” entrées utilizing Marukan Products for a chance to win scholarships and prizes. 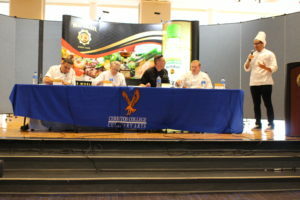 When the dishes were completed, a premier panel of Chefs with over 100 years of combined experience judged the competition. Each dish was judged on best use of Marukan products, creativity within the dish, and techniques demonstrated. We would like to say congratulations to all the winners and thank you to the participants. 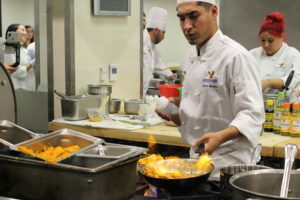 We are incredibly proud and honored to support culinary arts and the aspiring chefs of the future. If you missed the event, check out some highlights in the video above or visit our Facebook page to see the live stream!